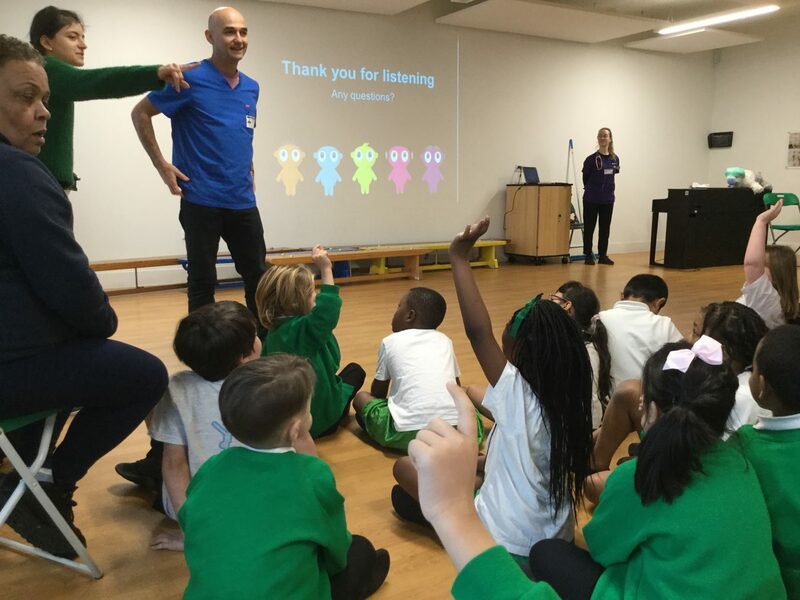 Orchard Primary School | Visit from the Vet! 07 Feb Visit from the Vet! As part of work week, Year 2 were visited by a vet. He told us about all the work vets do in the local community and the kinds of animals some vets treat such as lions and tigers. 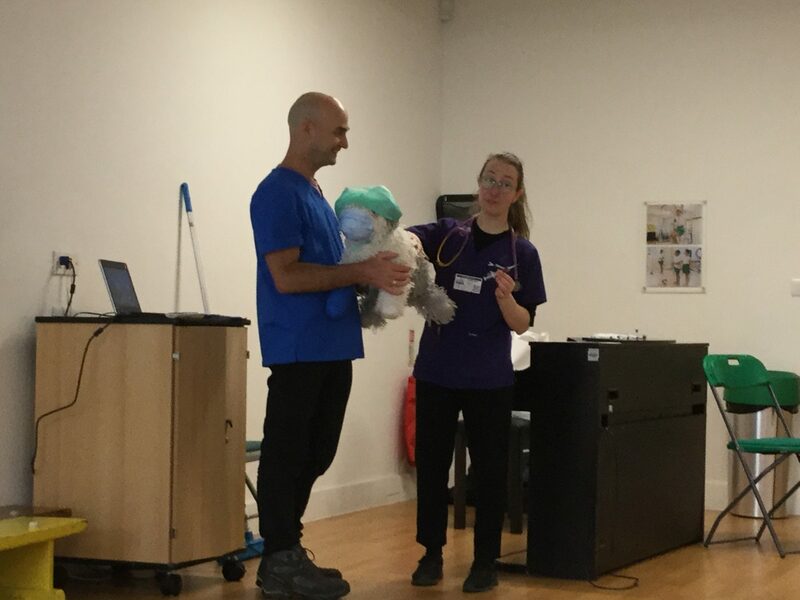 The vets showed us how they would treat a poorly dog, by giving it a real injection. 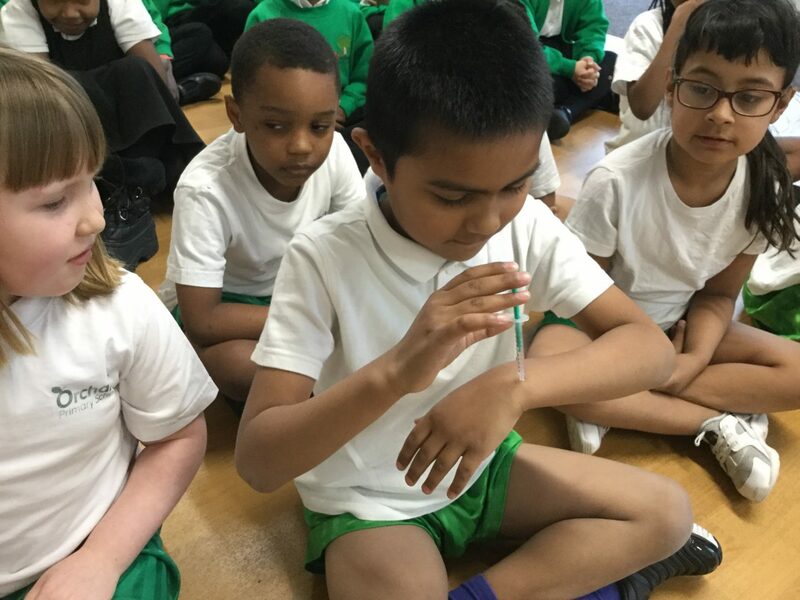 Then we all had a go at using the syringes (without the needles!) to see how they work.